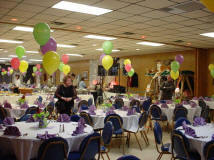 The Bangor Elks banquet facility is the perfect setting for wedding receptions, anniversary parties, graduation parties, birthday parties, banquets, or social gatherings. 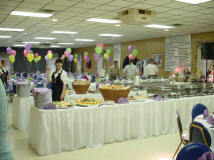 With round table seating for up to 200 people in our non-smoking facility, we offer an in house caterer for your guest dining pleasure or a variety of preferred caterers for you to choose from. 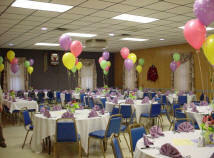 Our facility is handicap accessible with ample public parking and a private entrance for your special event. A private bar is available and staffed by our own professional bartenders for the enjoyment of your guests. 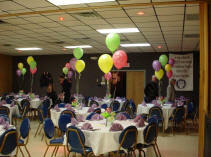 Call the lodge at 610-588-3420 to reserve your date.